In Brasil, “Quilombo Country,” a documentary film shot on digital video, provides a portrait of rural communities called “quilombos” in Brazil, which were either founded by runaway slaves or begun from abandoned plantations. 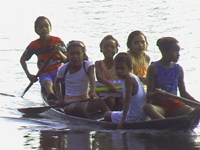 As many as 2,000 quilombos exist today. Largely unknown to the outside world, today these communities struggle to preserve a rich heritage born of resistance to oppression. Contrary to Brazil's national mythology, Brazil was a brutal and deadly place for slaves. But they didn't submit willingly. Thousands escaped, while others led political and militant movements that forced white farmers to leave. 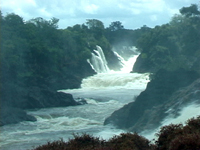 Largely unknown to the outside world, today these communities struggle to preserve a rich heritage born of resistance to oppression.The film ranges from the Northeastern sugar-growing regions to the heart of the Amazon rainforest, raising issues of political identity, land rights, and racial and socioeconomic discrimination. 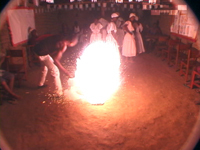 Included are examples of the material culture that allow the quilombolas to survive in relative isolation, including hunting, fishing, construction and agriculture; as well as rare footage of syncretic Umbanda and Pajelança ceremonies; Tambor de Crioula, Carimbó and Boi Bumba drum and dance celebrations; and Festivals of the Mast.“Quilombo Country” is narrated by Chuck D, the legendary poet, media commentator and leader of the iconic hip hop band Public Enemy.